You’ve always heard the songwriters that said that great song just poured down on them and they couldn’t write it down fast enough. Then , if I remember correctly, Thomas Edison said his work was a large percentage of perspiration and a small percentage of inspiration. I imagine that is how most things happen. The story of our up in coming recording certainly has both these elements and more. You can say the seeds for this particular recording concept (Songs of Charlie Poole) started their germination process in the very early 2000’s at the University of Chicago Folk Festival. That’s where I met Chip Covington. He and his band were working with Roni Stoneman that night and we were there for a couple of nights also. We became fast friends that night. Chip had owned and ran, as a real young man, one of Chicago’s best known Blues Club’s for twenty years, Biddy Mulligans, all the while loving the banjo and bluegrass music and getting real good at that too. 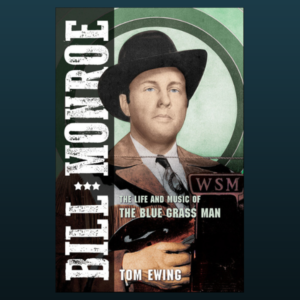 For the last number of years, he has promoted Chicago’s premier Bluegrass Music series in Evanston, IL. I found out quickly that Chip was attracted to music that had hair on it, music that he could feel. That was all I needed to know. Add his enthusiasim for life and that infectious smile and he was a person anybody would like! Well, by 2005, we were selecting material for our “Troubled Times” recording and Chip had been working closely with the band for about a year, as friend, sounding board, advisor, booking agent, just wearing alot of hats and helping us greatly. One night he called and said I should listen to this song and it would be a great one to record. The song was Charlie Poole’s “Milwaukee Blues”. We did really like the song and worked up a good arrangement and did it on the road for a while before the recording. It went down real easy in the studio and the cut came out real good. It became a regular in our stageshows and was a crowd favorite. Not long after “Troubled Times” was released I was talking to Ken Irwin of Rounder Records and he mentioned the “Milwaukee Blues” song and said he enjoyed our treatment of the song. We had signed with Rounder in 1989 and recorded two projects with them, giving us great, early credibility in the business. He mentioned that we should do an entire album of Charlie Poole material. We were right in the middle of the record release and working alot of dates in support of the release and just let Ken’s suggestion slip my mind. Hard to believe, being the astute businessman I am, that I would let that slip my mind, lol! Fast-foward nine years, it’s December 2014, the band is in Nashville at a benefit show. After the show, Stan Wilemon and I are standing around talking to Chip Covington, who’d came down from Chicago. Ken Irwin was visiting from Boston and stopped by to visit a minute. During our quick conversation, Ken said, ” have you thought any more about doing that Charlie Poole album that I mentioned to you ten years ago”? I told him truthfully I hadn’t, but it was a good idea! 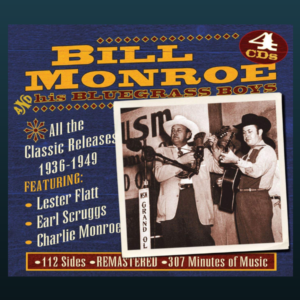 Stan and I talked about that on our drive home and with Robert Montgomery’s help started looking into Charlie Poole’s repretoire and quickly realized his material would be wonderful to evolve into a more modern form of traditional music and would be very comfortable for the way we played music. We did the recording in Sparta, IL. at Gary Gordon’s Inside – Out Studios starting in July 2015, working as our road schedule and Gary’s schedule allowed and by August, 2016 we had finished. Gary finished mixing by December and I asked Gary to send the master to Ken at Rounder. I called Ken and told him that we had recorded that Charlie Poole project that we were talking about two years earlier and it needed a home. Luckily, he, Marion Leighton-Levy and Bill Nowlin did love the record and agreed to promote the project. I hadn’t even mentioned to Ken that we were going to do the album, he didn’t know anything about it until Gary sent him the master. 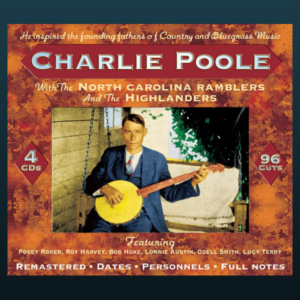 Later on, I was happy to hear how foundational Charlie Poole and his music was to the three original Rounders. This fact made their accepting our treatment of the material even more pleasing to us. Also, the ultra- care that they, as well as the Rounder Nashville family, have given to every aspect of the album’s production has been wonderful! This new recording, “Didn’t He Ramble” Songs of Charlie Poole is scheduled for release in very early summer. An online pre-release pre-sale will begin very soon! Check back often to the blog or website for particulars! We’ll add some extras to the pre-release package, as a way to say thank you for ordering early! I plan on having a new blog for you each Monday and some in between. I do hope you will enjoy the blogs and hope you will check back often! If there’s any subjects you think would be interesting for a blog, please let me know! Amen! 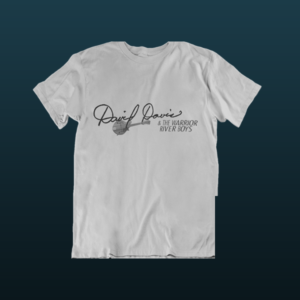 Man, I’m just lucky to be a friend of David and the band. And we are all lucky that Ken Irwin recommended to David to record a Charlie Poole project! 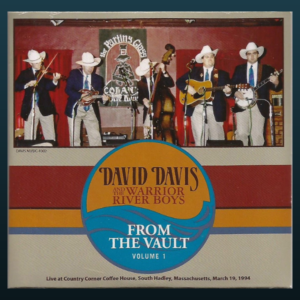 Years back, David kindly allowed me to bend his hat about the Milwaukee Blues. I just had this gut feeling that David’s heart and timing would fit the tune…he has the natural thing. Let’s call it the “Poole Groove” (TM by Chipper Covington Inc, ha-ha). Straight up, I’ve bringing the DDWRB back to Chicago this fall to produce a very special show. Won’t be another one like it, period.